Beautiful winter vistas, frozen lakes, northern lights, forests, huskies and of course Santa— Lapland is a dream destination for young and old alike. Not actually a country, Lapland is a region that spans the north of Russia, Finland, Sweden and Norway, and is teeming with wild reindeer and pristine wilderness. It’s a stunning part of the world with plenty of idyllic log cabins and opportunities to get outdoors and enjoy the natural surroundings both in summer and winter. During the winter, Lapland can be as cold as -30 degrees Celsius and is covered in over a metre of snow from November often until June, with every outdoor winter activity you can imagine available: skiing, snowboarding, reindeer sled rides, husky mushing. You can take a snowmobile ride over lakes that are so frozen it’s perfectly safe. You can snowshoe through the frozen forest and wonder at the terrain that seems so foreign covered in snow that it looks like an alien landscape. You can race rally cars on a frozen race track, visit Santa in his home and share stories with him and Mrs. Claus or simply lose yourself by the fireside of a postcard-perfect log cabin far from the hustle and bustle of everyday life. And of course there are the Northern Lights. The Aurora Borealis, as it is otherwise known, is a huge draw for visitors to Lapland and can be seen all over the region from late October until early May—those dark months when the night sky is usually clear and full of stars. A great website for northern lights predictions is the Geographical Institute in Alaska, which shows where and how strong the aurora is going to appear. Because Lapland is so cold, it is important to think about what you are going to wear when you visit. This video explains how to dress children when visiting Lapland, but could just as easily apply to adults as well. During the summer months, Lapland is a nature lover’s paradise where the sun never sets—literally, it is daylight 24 hours a day. Finland and Sweden are full of forests to explore, with walking trails dotted with free-to-use cabins that you can stay in overnight. Russia has some of the world’s most untouched and stunning areas, and Norway of course has the breath taking fjords with sparkling waters and soaring mountains. Hunting, fishing, hiking, cycling and horse riding are all very popular pursuits in the summer months in Lapland, and it’s a great destination for getting away from it all and back to nature. The best thing to decide first is which country you’d like to visit and then research more from there. Finnish Lapland has the magical city of Rovaniemi (the Official Hometown of Santa Claus); Sweden has the Ice Hotel; Russia has the untouched wilderness of the Kola Peninsula with its amazing fishing and Norway the stunning fjords. 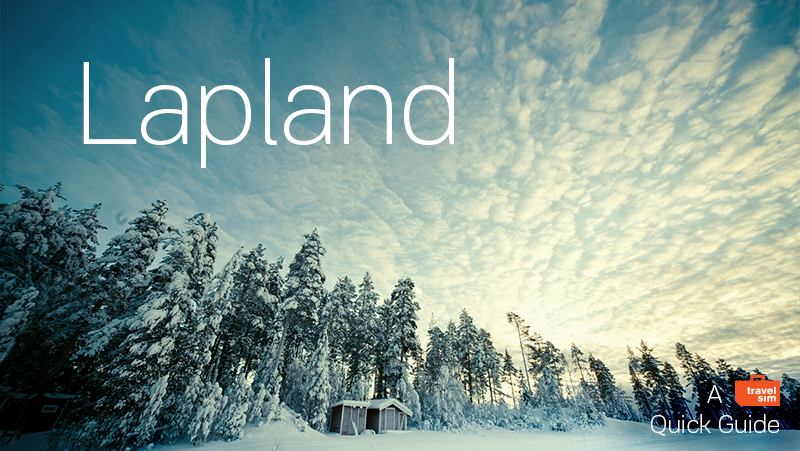 – For Finland, take a look at Only in Lapland, Visit Finland, Lapland.fi and Outdoors Finland. – For Sweden, try Visit Sweden. – The Visit Norway site is a good source of information on Norwegian Lapland. – Finding information on Russian Lapland is tough, but Kola Travel is probably the best. The best way to get to Lapland is to fly. For Norway, fly through Oslo to Hasvik, Hammerfest, Honningsvåg, Lakselv, Mehamn, Berlevåg, Båtsfjord, Vardø or Vadsø; for Sweden, flights go through Stockholm/Arlanda to Kiruna, Arvidsjaur, Storuman, Hemavan, Lycksele or Vihelmina for Finland, fly through Helsinki to Kitila, Rovaniemi, Ivalo or Kuusamo; and for Russia, you can connect to Murmansk from flights throughout Russia and Scandinavia. You can also drive through Europe and into your country of choice; they all make for stunning and interesting journeys with ever-changing landscapes and architecture. Remember that most people will need a visa to travel to Russia, but Norway, Sweden and Finland are part of the EU and require, for many travellers, only a valid passport to enter. This Quick Guide was written by Heather from Note From Lapland, who spent seven years living as an expat and raising her children in the snowy wilderness of Lapland.